“Tabbies” wrapping paper in primary colors. 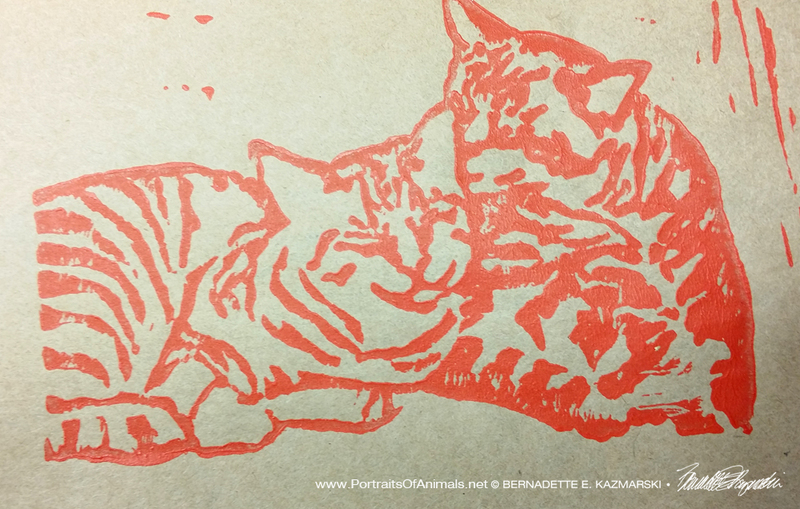 “Tabbies” is a linoleum block print, and each sheet of paper is hand-printed on 100# Kraft paper that is more or less 24″ x 30″; my paper is 30″ wide, and I do my best to cut it from the roll at 24″, usually a little generous. Because these designs are larger this wrapping paper is best suited to large packages. 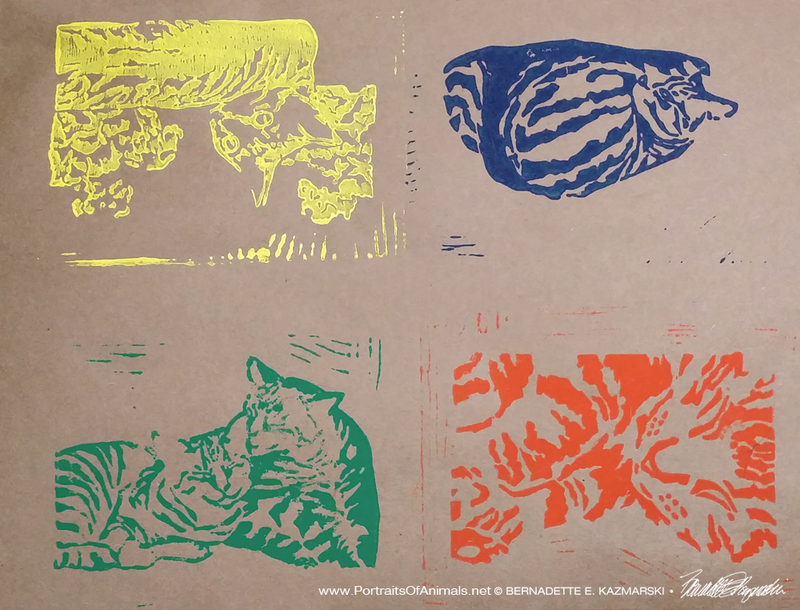 I call the four designs in this set “Tabbies” because “the stripes made me do it!” They are linoleum block prints I designed to print as note cards in 1997. The designs are referenced from photos of my own cats, down to their stripes. You may have also seen these designs as note cards, “Summery” and “Brights”. 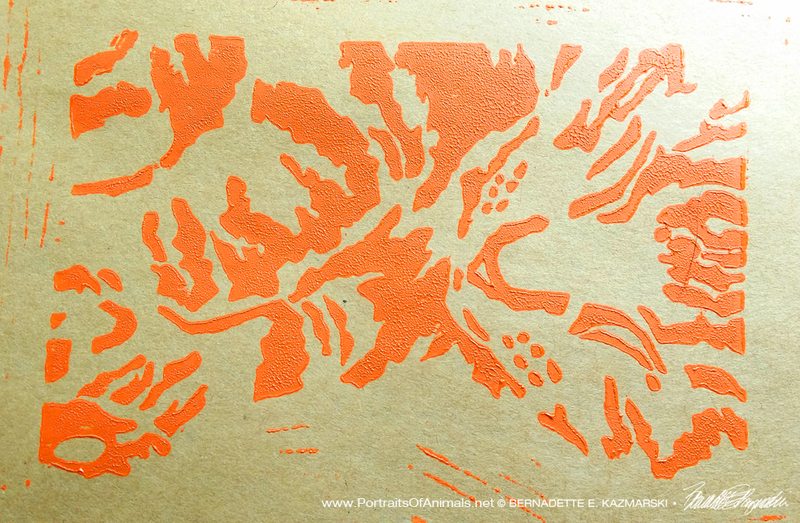 When I created this set I cut all four designs from one linoleum block so that I could lay one 11″ x 17″ sheet of paper over the inked block and print all four cards at once, then trim them down. Now when I print the paper I print all four designs at once in a block. 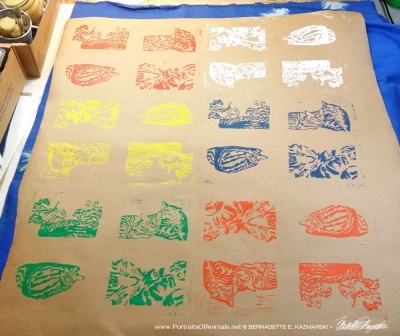 The designs are printed in water-based acrylic ink on 100# kraft paper in primaries red, blue and yellow, then also secondaries orange and green plus white. Color assortment may vary for “Colorful Tabbies”, and now that I’ve started having fun with this you can bet I’ll be printing in other color combinations too, such as “Natural Tabbies” in shades of black and gray and brown and orange, and I’ve got to get some purple and pink in there somewhere too! Wrapping paper, “Tabbies”, in primary colors. Paper is shipped folded in quarters. Shipping is included in all prices. Block printing is a technique wherein the artist carves the surface of a piece of linoleum, leaving raised areas which will become the image. 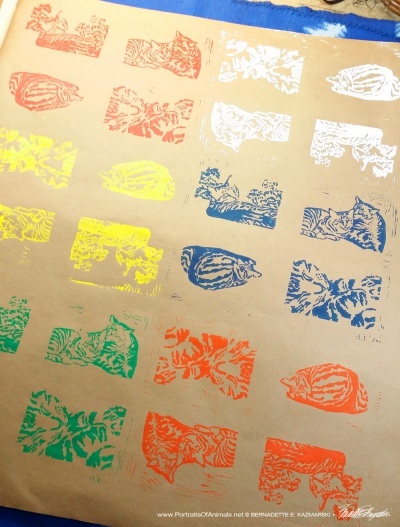 Ink is rolled onto these raised areas, then a piece of paper is pressed against the block and when it’s lifted away the ink remains, leaving the image on the paper. Because of this process, each print is slightly different and therefore unique. Other hand-printed wrapping papers include “Meowy Cats Mess”. 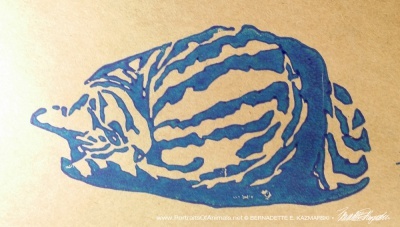 This entry was posted in cat artwork, handmade gift items, linoleum block prints, wrapping paper and tagged cat artwork, cats, hand-printed, hand-printed wrapping paper, linocut, linoleum block print, wrapping paper on July 24, 2017 by Bernadette.